Read our full Forza Horizon 2 review. Playground Games and Microsoft have revealed the first 100 (of just over 200) cars featured in the upcoming Xbox exclusive, Forza Horizon 2. Horizon is the more laid-back, open world cousin of the Forza Motorsport franchise, and this iteration further refines the powerful engine introduced in the Xbox One launch title, Forza Motorsport 5. In addition to the cutting-edge 2015 Lamborghini Huracán that was first revealed with the game, you will be able to collect, customize, and drive a diverse array of cars of all stripes. The’ve all been built from the ground up in the new engine to achieve maximum verisimilitude with exciting new features like functioning windshield wipers, interior lights, and dynamic dirt-mapping. The developer post highlights a few of the 100 newly revealed cars to underline the vastly different driving experiences possible within the game. 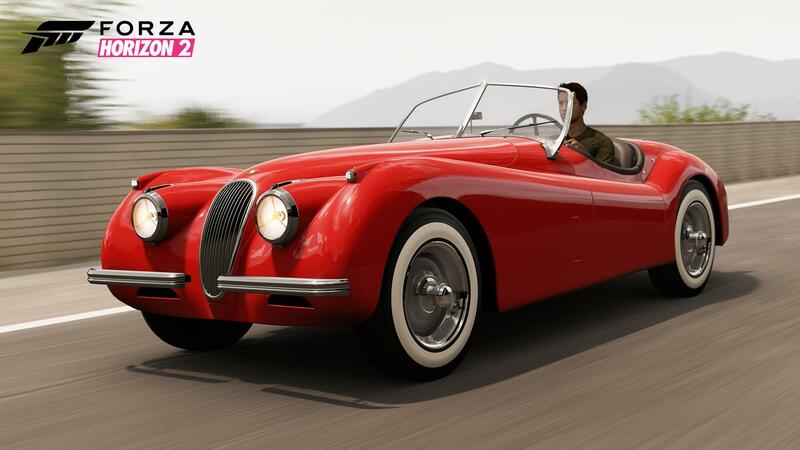 If Horizon 2‘s southern European setting has you pining for days past when European sports cars were king, take a spin in the classic 1954 Jaguar XK120 SE. Less concerned with speed and just looking to have a good time with your friends? Cruise around in a 1963 Volkswagen Type 2 De Luxe microbus and solve a few mysteries and/or start a Beatles-inspired murder commune. Maybe you’re sick of all that fancy-schmancy European design and just want some utilitarian, American engineering? 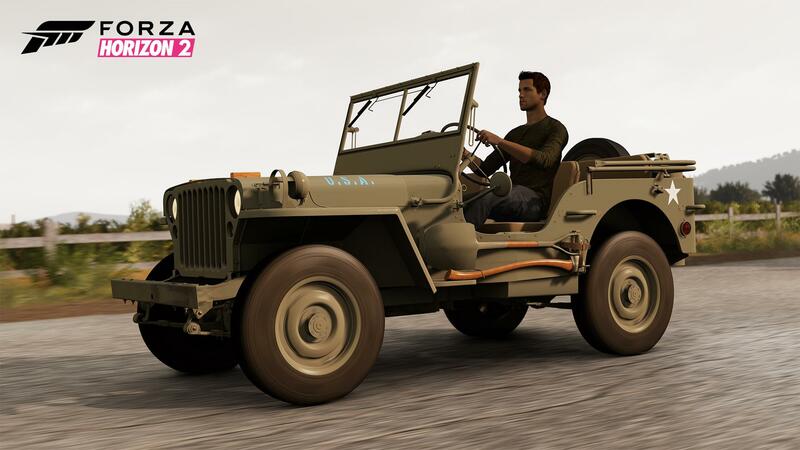 Then buckle up, soldier, and head off-road in the 1945 Jeep Willys MB. While you’re scouring Europe for remaining Nazis, contemplate that the jeep apparently took its name from a trans-dimensional jungle dog that would help Popeye. We have the complete list of cars below. 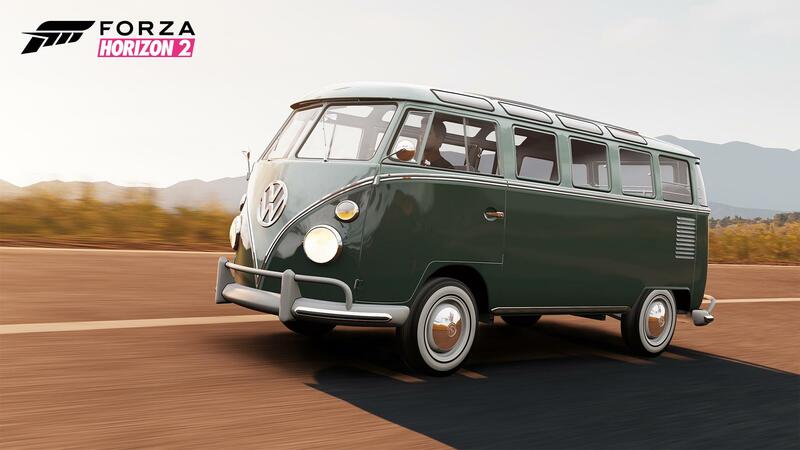 Forza Horizon 2 comes out for Xbox One and Xbox 360 on September 30. Note that the Xbox One and 360 versions, while similar, are in fact being developed by different studios. While the cars shared in this post will certainly be present in the Xbox One version, it is not clear whether the same exact lineup will be present for 360.